In September 1944, three months after the invasion of Normandy, the Allied armies prepared to push the German forces back into their homeland. Just south of the city of Aachen, elements of the U.S. First Army began an advance trough the imposing Huertgen Forest along the Belgian-German border in an attempt to reach the plain of Cologne, where armored divisions would have clear access to Berlin. Instead of retreating, as the Allied command anticipated, the German troops prepared an elaborate defense of Huertgen, resulting in a struggle where tanks, infantry, and artillery dueled at close range, and shell bursts among the treetops sent lethal splinters into the soldier below. The battle for the forest ended abruptly in December, when a sudden German offensive trough the Ardennes to the south (Battle of the Bulge) forced the Allied armies to fall back, regroup, and start their attack again, this time culminating in the collapse of the Nazi regime in May 1945. 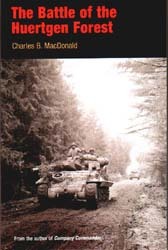 In this book, Charles B. MacDonald assesses this major American operation, discussing the opposing forces on the eve of the battle, and offering a clearly written and well-documented history of the battle and the bitter consequences of the American move into the forest. Drawing on his own combat experience, MacDonald portrays both the American and the German troops with empathy and convincingly demonstrates the flaws in the American strategy. The book provides an insight into command decisions at both local and staff levels and the lessons that can be drawn from one of the bloodiest battles of World War II. CHARLES B. MACDONALD was deputy chief historian of the Army Center of Military History. He commanded a rifle platoon in World War II, earning the Silver Star, a Purple Heart, and five battle stars. He recorded his wartime experiences in Company Commander, regarded as one of the finest World War II narratives. 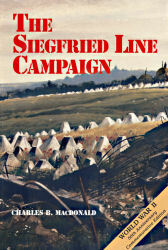 If you're seriously interested in the Siegfried Campaign, this volume is a must read. 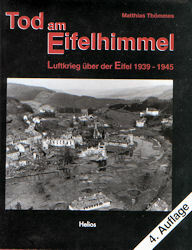 This large book of 670 pages covers the events of September thru mid December 1944, and includes in addition to the Siegfried Line penetrations, the events of Market Garden as well as the clearing of Antwerp and Albert Canal. Its highly recommended and can be downloaded at this weblink. 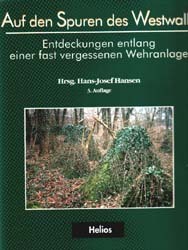 I found this book to be an extremely readable and informative account of the Hurtgen Forest battle. You get a feeling for both the terrain and the battle itself and an understanding of the effect of the Kall Trail on the battles around Schmidt and Vossenack. That night, an officer from the 28 Division's 109th Infantry arrived at our company. He was dirty, bearded, utterly fatigued. Before turning in, we asked him what it was like, frankly, this Huertgen Forest. "It's hell," he said flatly. "Pure unadulterated hell. That's the only word for it. It's hell" A kind of wild light seemed to come in his eyes. "You ain't heard anything about it cause they're afraid to talk about it. That's it, they're afraid to talk about it. The Germans tore up our division. Tore it up. They kicked the hell out of a lot of other good outfits too. I been with this division since we landed in France, and I never saw anything like it. It's artillery, tanks and mines. Everywhere mines. Godalmighty the mines. And Jerries. Everywhere stubborn, stubborn Jerries." Speak of the Huertgen Forest and you speak of Hell! During a seemingly interminable three months, from mid-September to mid-December, 1944, six American Infantry Divisions—the 1st, 4th, 8th, 9th, 28th, and 83rd—and part of the 5th Armored Division fought at one time in the Huertgen Forest. The cost: 28,000 casualties with one Division alone losing more than 6,000. This is the story of war—tough, dirty war as seen through the eyes of one man, Lt. Paul Boesch as he and his men and buddies fought and bled their way along the miserable Road to Huertgen, from Brest to the Crozon peninsula and finally to Huertgen itself. Huertgen, a nightmare of rain, mud, artillery, mortar and mines. 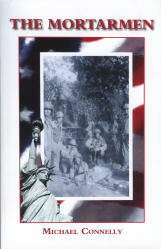 But most of all this is the story of that incredible composite of fighting men, the United States Infantry. Scared men with rifles—bayonets on one end and stark, naked courage on the other. Men who just wouldn't give up at Huertgen in spite of the Germans, the elements and the snafus at higher headquarters. Men who fought their way foot-by-foot day in and day out until the victory was theirs. "Now the fight for Huertgen was at its wildest. We dashed, struggled from one building to another shooting, bayoneting and clubbing. Hand grenades roared, rifles cracked — buildings to the left and right burned with acrid smoke. Dust, smoke and powder filled our lungs, making us cough, spit. Automatic weapons chattered hoarsely while the heavier throats of mortars and artillery disgorged deafening explosions. The wounded and the dead — men in the uniforms of both sides — lay in grotesque positions at every turn." This is what combat is like at the shooting level. That's where war really hurts—down in the rifle platoons. Down where they do the dying. 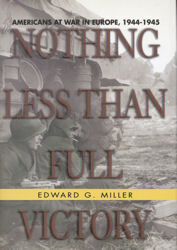 This volume, from the US Forces in World War II series, presents a microanalysis of the river crossing at Arnaville, the breakthrough at Monte Altuzzo and the assault on Objective SCHMIDT. 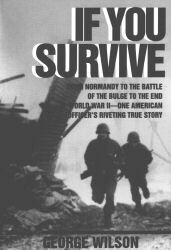 Based on US Army historian interviews after the operations, the analysis provides rich detail and an unprecedented close-up view of what actually occurred. While limited in scope, these accounts represent scores of battles in their theaters. Thirty thousand American G.I. 's were killed or wounded in the longest battle ever fought by the U.S. Army - a battle that has been ignored for more than fifty years, a battle that should never have been fought. 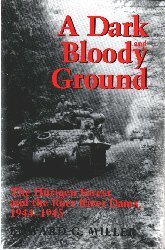 From September 1944 to February 1945, eight U.S. infantry and two U.S. armoured divisions were thrown into the "green hell of Hurtgen"- fifty square miles of thick, rugged, hilly woods on the Belgian-German border, full of German soldiers in a deadly network of concrete bunkers. The butcher's bill was high: casualty rates ran to 50 percent and more for most rifle companies. The High Command, from the relative comfort and security of their headquarters, miles away from the forest, refused to admit there had been a mistake. Careers, and the pride of the Army, were at stake. So more troops were poured in and the slaughter continued - to capture an objective that had long since lost any real purpose. The Battle of Hurtgen Forest is a classic account of the price fighting men must pay for the prideful blunders of their commanders. CHARLES WHITING, the author, is Britain's most prolific military writer with over 250 books to his credit. ISBN 0-89141-699-4 Presidio Press Inc.
For nearly five months, starting in mid-September 1944, American GI's battled for the Huertgen Forest, a fifty-square mile tract of extremely inhospitable terrain. Unfortunately for the American soldiers involved, the Huertgen Forest campaign turned out to be one of the deadliest of the war. During its first month, the 9th Infantry Division supported by the 3d Armored Division managed to eke out a gain of only 3,500 yards. This paltry advance was at the cost of 4,500 American casualties, less than a yard per man. One has to go back to the charnel houses of World War I to find comparable ratios. More unfortunate yet, however, is that this campaign was also among the most ill conceived and badly directed of the war. General James M. Gavin characterized the Huertgen Forest as an "ice-coated moloch with an insatiable appetite." By the time the forest was cleared, eight additional divisions would become involved along with a parachute infantry regiment and a Ranger battalion. The final butcher's bill would list 24,000 lost to enemy action with a further 9,000 victims of frostbite or trench-foot. Surprisingly, little has been written about this bloody battle. Its beginning was overshadowed by Field Marshal Montgomery's audacious and ill-fated Operation Market Garden (September 17), "the bridge too far." As the battle for the Huertgen Forest neared its end, the massive Nazi attack that became immortalized as the Battle of the Bulge (December 16) exploded into Belgium. ISBN 0-89096-626-5 Texas A & M University Press. BEFORE THE BULGE there was the Hürtgen Forest. A victorious American army, having driven through Belgium almost unopposed, ran head-on into German soldiers on their own home ground, in some of the most rugged country in western Germany and at the beginning of the worst fall and winter weather in decades. In late 1944, American forces advanced into the hilly, heavily wooded Hürtgen Forest south-east of Aachen, Germany. For weeks, without a clear-cut reason for attacking through the forest, U.S. commanders nevertheless ordered units of as many as seven divisions into the woods to be chewed up by German infantry and artillery. Small units, cut off by the rugged terrain and trees, unable to employ tanks or artillery effectively, fought entrenched and camouflaged Germans in the woods and villages of the region. The troops were exposed to rain, sleet, and freezing temperatures without proper winter clothing. Many companies suffered huge numbers of casualties. 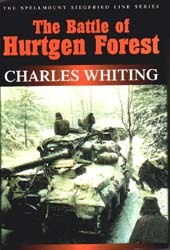 The Battle of the Bulge interrupted the Hürtgen Forest battles but did not end them. The Bulge provided a hiatus for the wartorn countryside around the forest and the Roer River dams. Then, beginning in January, 1945, American forces resumed their offensive and were finally able to break through after one of the bloodiest and, for the U.S. Army, most disastrous campaigns of World War II. For many years after the war the full extent of the disaster was not well known outside army circles. Eventually the story of the campaign spread, but it remained overshadowed by the fame of the Bulge. 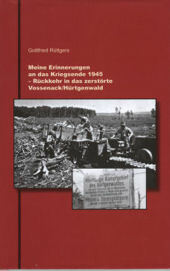 Only in the last decade have military historians begun to look at the fighting in the Hürtgen Forest. The book examines uncertainty of command at the army, corps, and division levels and emphasizes the confusion and fear of ground combat at the level of company and battalion- "where they do the dying." 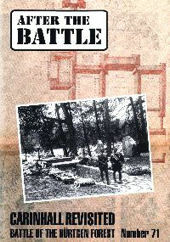 Its gripping description of the battle is based on government records, a rich selection of first-person accounts from veterans of both sides, and author Edward G. Miller's visits to the battlefield. The result is a compelling and comprehensive account of small-unit action set against the background of the Larger command levels. 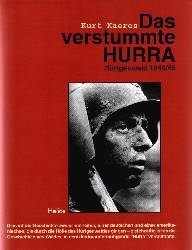 Some of the most brutally intense infantry combat in World War II occurred within Germany's Hürtgen Forest. 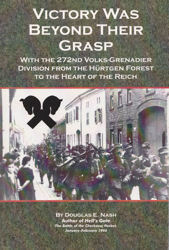 Focusing on the bitterly fought battle between the American 22d Infantry Regiment and elements of the German LXXIV Korps around Grosshau, Rush chronicles small-unit combat at its most extreme and shows why, despite enormous losses, the Americans persevered in the Hürtgenwald "meat grinder." 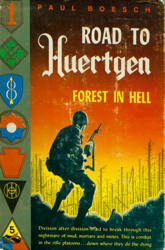 On 16 November 1944, the 22d Infantry entered the Hürtgen Forest as part of the U.S. Army's drive to cross the Roer River. During the next eighteen days, the 22d suffered more than 2,800 casualties--or about 86 percent of its normal strength of about 3,250 officers and men. After three days of fighting, the regiment had lost all three battalion commanders. After seven days, rifle company strengths stood at 50 percent and by battle's end each had suffered nearly 140 percent casualties. Despite these horrendous losses, the 22d Regiment survived and fought on, due in part to army personnel policies that ensured that unit strengths remained high even during extreme combat. Previously wounded soldiers returned to their units and new replacements, green to battle, arrived to follow the remaining battle-hardened cadre. 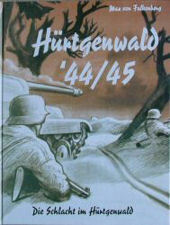 The German units in the Hürtgenwald suffered the same horrendous attrition, with one telling difference. German replacement policy detracted from rather than enhanced German combat effectiveness. Organizations had high paper strength but low manpower, and commanders consolidated decimated units time after time until these ever-dwindling bands of soldiers disappeared forever: killed, wounded, captured, or surrendered. The performance of American and German forces during this harrowing eighteen days of combat was largely a product of their respective backgrounds, training, and organization. Rush's work underscores both the horrors of combat and the resiliency of American organizations. While honoring the sacrifice and triumph of the common soldier, it also compels us to reexamine our views on the requisites for victory on the battlefield. At the onset of World War II, the U.S. Army was a third-rate ground force of 145,000 with some generals who still believed in the relevance of horse cavalry. Its soldiers were untrained, its doctrine out of date, and its weapons hopelessly obsolete. Four years later, the U.S. Army was engaged in a global war with a force of more than 8 million men armed with modern weapons and equipment. This is the story of how American ground troops in Europe managed to defeat one of the most proficient armies in history. As the Allies arrived at the frontiers of Germany itself in the last autumn of WWII, the Germans responded with a variety of initiatives designed to regain the strategic initiative. While the "Wonder Weapons" such as the V-2 missile are widely recognized, the Volks-Grenadier divisions (VGDs) are practically unknown. Often confused with the "Volkssturm," the Home Guard militia, VGDs have suffered the undeserved reputation as second-rate formations, filled with young boys and old men suited to serve only as cannon fodder. This ground-breaking book shows that VGDs were actually conceived as a new, elite corps loyal to the National Socialist Party and equipped with the finest weapons available. Come follow along with the soldiers of the 272nd VGD's Füsilier Company from their first battles in the Hürtgen Forest to their final defeat in the Harz Mountains . . . learn the enormous potential of VGDs . . . and feel their soldiers' heartbreak at their failure. 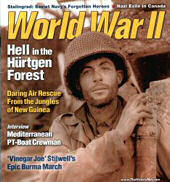 The Mortarmen is an untold story of World War II. 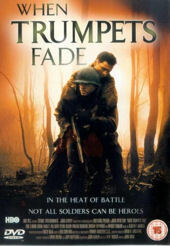 It follows the heroic exploits of the men of the 87th Chemical Mortar Battalion from their landing on Utah Beach, through every major battle in France, Belgium and Germany. 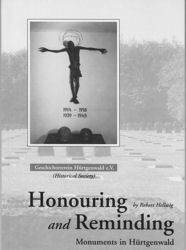 It is an amazing story taken from the official records, and the diaries and recollections of the men who were there including some of the German soldiers the battalion fought. 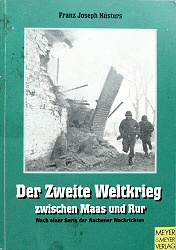 Chapter IX of this book is about the fighting in the Hurtgen Forest. This is a book about the turbulent times of World War II. 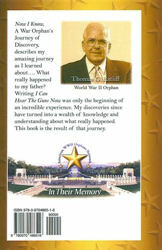 This story is told from a very personal point of view of how a young family was affected by World War II. 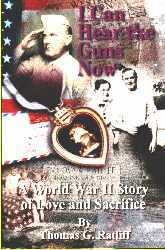 It is just one family's story of the many thousands of World War II family stories. The story is mostly about the short eight month period, in 1944, that my father was serving in the Army. I weave into the story the eighty four unedited letters that he wrote home during that time period, they let the reader see what he sees and feel what he feels. During my father and mother's last night together, at the end of his only furlough, the twelve years that spanned their relationship is told through flashbacks as they reminisce. Through the letters and the flashbacks the reader can picture in his or her own mind their courtship, marriage, children, his Army training, and then his World War II death. The reader can sense the intense, deep, and long lasting love between these two people and the family that union produced. It has been said, this story will trigger your emotions and tug at your heartstrings. It is a powerful story of love and sacrifice. Just two months before my sixth birthday, my father Private Ova W. Ratliff was listed as "missing in action". One year and one day later there was a "finding of death". My father was killed on November 14th, 1944, on a cold, muddy, battle sacred hillside in the Huertgen Forest of Germany, a few hundred yards southwest of the small village of Simonskall. When I was young, World War II was an evil memory for me. I didn’t want to know about that horrible time. I didn’t want to know about those dreadful people and that vile place. They had killed my father, shattered our family, and made me a war orphan. Although they have gradually diminished with age, those dreadful thoughts stayed with me through a large portion of my adult life. After reaching that point in my life where I have more years behind me than I surely have in front of me... the passage of time helped to mellow my harshest feelings, and to a large degree, healed my anguished soul. That healing, along with age and time, triggered a desire in me to want to know more about my father and the war he died in. That desire caused me to write I Can Hear the Guns Now. Writing that book set off an insatiable need to learn even more about what really happened to him. Writing that first book was only a beginning of an awe-inspiring journey down a road of discovery and understanding. As I made that journey it led to more that I could have ever imagined. I met so many good and interesting people. I learned about the love the people of Morgan County, Kentucky had for my father. I accumulated stacks of valuable World War II information. I discovered the benevolence of AWON (American WWII Orphans Network). I visited, and learned about, where my father took his basic training at Camp Fannin, Texas. I now know…. about World War II. I now know…. about the Huertgen Forest. I now know…. about that horrible Huertgen Forest battle. I now know…. about Company C, of the 110th Infantry, of the 28th Division. I now have…. a very special Belgian friend that has walked that hallowed ground in Germany where my father died, and has taken pictures of it for me. I have been befriended by a very special Huertgen Forest battle survivor…. that, almost certainly, was in the foxhole with my father shortly after he was killed. I now know…. who found him, how that happened, and what followed his discovery. I was able to honor my father and mother at the dedication ceremony of The National World War II Memorial in Washington, D.C. These are just a few examples of the astounding actions, interactions, discoveries, and knowledge that has come to me on my incredible journey of discovery. I now have answers to just about all of my questions. I can truly declare, Now, I Know…. 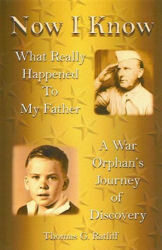 what really happened to my father, and I have put all of it in my second book titled: Now I Know - A War Orphan’s Journey of Discovery. I am at peace with my soul. 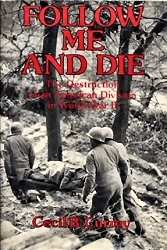 ISBN 0-7434-5015-9 Simon & Schuster Inc.
Stephen E. Ambrose follows the individual characters of this brutal war. 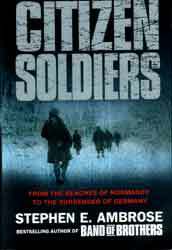 CITIZEN SOLDIERS tells the real story of World War II - from the hedgerows of Normandy to the overrunning of Germany - from the perspective of the American men and women who fought it. 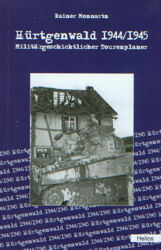 The book also contains a chapter about the fighting in the Hürtgen Forest. "IF YOU SURVIVE YOUR FIRST DAY, I'LL PROMOTE YOU." So promised George Wilson's World War II commanding officer in the hedgerows of Normandy—and it was to be a promise dramatically fulfilled. From July 1944 to the closing days of the war, from the first penetration of the Siegfried Line to the Nazis' last desperate charge in the Battle of the Bulge, Wilson fought in the thickest of the action, helping take the small towns of northern France and Belgium building by building. Of all the men and officers who started out in Company F of the 4th Infantry Division with him, Wilson was the only one who finished. In the end, he felt not like a conqueror or a victor but like an exhausted survivor, left with nothing but his life—and his emotions. Am 12. September 1944 überschreiten die Amerikaner bei Roetgen die Grenze des deutchen Reiches - das Rheinland und die Talsperren von Rur und Urft liegen zum Greifen nahe und offen. ADOLF HOHENSTEIN und WOLFGANG TREES haben in jahrelanger Kleinarbeit "jeden meter" des Hürtgenwaldes begangen. Bisher nie veröffentlichte Fotos konnten nicht nur gefunden, sondern auch datiert werden. Vom September 1944 bis zum Februar 1945 tobten zwischen Köln und Aachen im Bereich des "Hürtgenwaldes" erbitterte Kämpfe zwischen amerikanischen und deutschen Truppen. Die schweren Kämpfe kosteten beiden Seiten hohe Verluste. Veteranen prägten nicht zu unrecht die Worte "Die Hölle im Hürtgenwald". Heute hat sich das ehemalige Schlachtfeld, am Rande des Nationalparks "Eifel", in ein naturreiches Naherholungsgebiet verwandelt. Wenn heute Besucher auf das ehemalige Schlachtfeld des "Hürtgenwaldes" kommen, finden sie ohne Erläuterung kaum noch Überreste der Kampfhandlungen. Selbst alte Orts- und Gemarkungsnamen sind heute kaum noch in aktuellen Kartenwerken vermerkt. Die Überreste des Westwalls sind ohne Ortskenntnis kaum auffindbar. Auf 179 Seiten, mit 194 historischen und aktuellen Fotos, gibt der Autor dem Leser zunächst, unterstützt durch Skizzen, eine zusammenfassende Darstellung der "Schlacht im Hürtgenwald". Daran angeschlossen findet der Leser einen Tourenplaner zur Besichtigung des ehemaligen Schlachtfeldes. Teilweise werden hier dem historischen Foto unmittelbar das heutige Aussehen gegenübergestellt. Dem Leser werden 4 themenbezogene Autotouren und 2 kombinierte Auto-/Wandertouren auf den Spuren der "Schlacht im Hürtgenwald", mit Hinweisen auf Besichtigungspunkte und zeitgeschichtlichen Ergänzungen, dargestellt. Daneben werden dem Leser weitere Hinweise zu Gedenksteinen, Kriegsgräberstätten, Tipps zu Wanderungen und Reste des Westwalls (mit 18 Skizzen) im Bereich des Hürtgenwaldes gegeben. Mit dem Tourenplaner kann jeder Nutzer individuell seine Besichtigung des Schlachtfeldes vorbereiten und planen. Unabhängig davon, ob es sich um einen Kurzbesuch oder eine mehrtägige Besichtigung handelt. 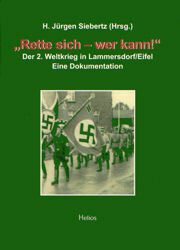 Förderkreis für deutsche Geschichte e.V. Dieses Buch schildert die Kriegsereignisse in der Heimat auf eine besondere Weise: als eine Art Tagebuch, in dem -chronologisch geordnet - nachzulesen ist, was an dem jeweiligen Tag vor 50 Jahren im Frontbereich zwischen dem Niederrhein und Luxemburg geschah. ,,Der Zweite Weltkrieg zwischen Maas und Rur", unter dem Titel ,,Heute vor 50 Jahren" als Serie in den ,,Aachener Nachrichten" erschienen, vermittelt somit letztlich einen umfassenden Gesamteindruck der Ereignisse jener Zeit zwischen dem 10. September 1944 und dem 28. Februar 1945 - zwischen dem Aufmarsch der Alliierten vor der Reichsgrenze und dem Sprung über die Rur, mit dem der Krieg im Grenzland beendet wurde. November/Dezember 1944: Hürtgenwald in der Nordeifel. Die »Front im Wald« muß von den deutschen Soldaten um jeden Preis gehalten werden. Rund 9 000 Mann verteidigen jeden Meter Boden. Furchtbar die Verluste auf beiden Seiten: 68 000 deutsche und amerikanische Soldaten sterben. Hürtgenwald heute: Die Zeugnisse der Schlachten und Zerstörungen sind nicht mehr offensichtlich, aber vorhanden. Der Militärgeschichtliche Reiseführer »Hürtgenwald« betreibt »Spurensuche«, beschreibt die Geschehnisse und dokumentiert sie ausführlich. Er bietet Routen- und Wandervorschläge, zeigt die Spuren im Wald, nennt die Soldatenfriedhöfe und beschreibt das Museum »Hürtgenwald 1944 und im Frieden«. Ein Griff in die Geschichte der Nordeifel mit einem Verzeichnis der historischen Stätten kommt hinzu. Zahlreiche Abbildungen, Karten, Kurzbiographien, Angaben weiterführender Literatur und ein Orts- und Personenverzeichnis runden den Band ab. 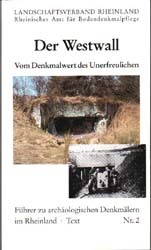 Der Geschichtsverein Hürtgenwald hat zum 25jährigen Bestehen ein bemerkenswertes Buch herausgebracht, welches für 8,-€ zu erwerben ist. In diesem sind 38 Gedenk- und Mahnmale in ganz Hürtgenwald farbig abgebildet und ausführlich beschrieben. Auf 58 Seiten findet der Leser eine einzigartige Zusammenstellung dieser Mahnmale in den Ortsteilen Bergstein, Gey, Großhau, Hürtgen, Kleinhau, Raffelsbrand, Simonskall und Vossenack. Ein besonderer Service ist die Angabe der Hoch- und Rechtswerte anhand derer man den Standort der Denkmäler leicht ermitteln und auffinden kann. Umschlag und Textseiten wurden aufwendig gestaltet und sind auf qualitativ hochwertigem Spezialpapier gedruckt. bei dem Autor, Herrn Robert Hellwig, In der Kaule 1, 52393 Hürtgenwald, Tel. und Fax: 02429/3684, E-Mail: bert.hellwig@gmx.de, bestellt werden. 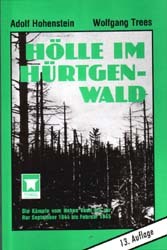 Most of the present community of Hürtgenwald knows how WWII has raged in the Huertgen Forest. The local people know how devastated and destroyed their villages with their fields and woods have been afterwards. Everybody knows that many thousands of soldiers have been killed here on both sides, and that a multiple of this number have been wounded. One also knows that many residents of our villages have been killed or wounded during the combats and especially after the war through the dangerous remains of this rage. There is no way of stating an exact number of casualties and it is not necessary either. However, it is important to be reminded of the victims and of the causes which have led to that tragedy. This is why there have been set visible marks in Hürtgenwald which are supposed to be memorials as well as reminders: "It must never happen again!" We are hardly aware of how many of these memorials there are and at which places they are to be found. Of course, the two big military cemeteries are not be overseen and known to everybody, and also the museum "Hürtgenwald 44 und im Frieden" does not have to be mentioned here. However, there are more than thirty honouring and reminding signs which have been set up as plaques or side-road crosses, some of these unobtrusive and discreet. Some people know of a few or more but hardly anyone could name all of these. Some of these which are known to everybody are to be found in almost all local areas and maybe that is the reason why those signs do not find much attention. Those which are to be found in the surrounding woods of the villages involved in combats, find even less attention. Most of these remind of a very particular incident, but all have the same purpose. This book is just a try to make them all known. 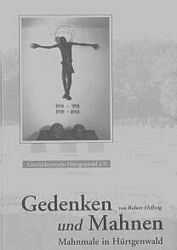 The book can also be ordered by the author, Herrn Robert Hellwig, In der Kaule 1, 52393 Hürtgenwald, Tel. und Fax: 02429/3684, E-Mail: bert.hellwig@gmx.de. Der 2. Weltkrieg in Lammersdorf/Eifel. „Rette sich - wer kann!" Mit diesen Worten beschwor Fritz Radermacher, ehemaliger Bürgermeister von Lammersdorf, seine Familienangehörigen und Nachbarn, die schützende Obhut im Keller seines Hauses angesichts der lodernden Flammen zu verlassen. Dieser Appell in höchster Not ist beispielhaft für die Berichte und Erzählungen von Lammersdorfer Einwohnern, die den 2. Weltkrieg „hautnah" miterlebt haben. Der aus Lammersdorf stammende Autor H. Jürgen Siebertz, Jahrgang 1942, hat über hundert Personen seines Heimatdorfes befragt. Ihre Erinnerungen, die oftmals sehr emotional vorgetragen wurden, hat er in einer umfangreichen Dokumentation in Worten und Bildern festgehalten. Der Inhalt des Buches ist eindeutig. Es ist der eindringliche Appell, den Frieden zu erhalten und wachsam zu bleiben, damit sich die Vergangenheit nicht wiederholen kann. Die Kämpfe an der ersten Westwall-Linie im Abscnitt Roetgen-Lammersdorf und um den Paustenbacher Berg. 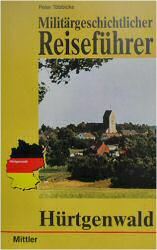 In seinem ersten Buch zur Geschichte des Monschauer Landes mit dem Titel "Rette sich - wer kann" hat der Lammersdorfer Heimatforscher H. Jurgen Siebertz anhand von Tagebuchaufzeichnungen und Augen- zeugenberichten wichtige Ereignisse und Familienschicksale in Lam- mersdorf während der amerikanischen Besatzung im Herbst und Winter 1944/45 festgehalten. Nach dem Studium zahlreicher Fachbucher und der Einbeziehung amerikanischer Unterlagen greift der Autor jetzt noch einmal das Thema "Zweiter Weltkrieg" auf. Detailgenau und nachvoll- ziehbar schildert er die Einnahme und Besetzung der Eifeldörfer Roetgen und Lammersdorf durch die amerikanischen Truppen im September 1944, wobei die Kämpfe im "Lammersdorf-Korridor" und um die "Paustenbacher Höhe 554" im Mittelpunkt stehen. Bei den wochenlangen Auseinander- setzungen zwischen dem 39. US-Infanterieregiment/9. US- Infanteriedivision und dem deutschen 1055. lnfanterieregiment/89. Infanteriedivision um den Zuganq ins Kalltal und in den Hürtgenwald spielte die Ortschaft Lammersdorf aus taktischer Sicht eine nicht unbedeutende Rolle. 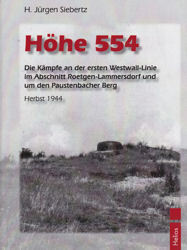 "Höhe 554" ist weder ein Kriegsroman noch eine glorifizierende Darstellung kriegerischer Heldentaten und Ereignisse, sondern ein weiterer sachlicher Beitrag des Autors zur Erforschung der Heimatgeschichte des Monschauer Landes. In dem Eifeldorf Vossenack, im Hürtgenwald, wuchs der im September 1923 geborene Autor, Gottfried Rüttgers, unter den schwierigen Bedingungen der sehr schlechten Nachkriegszeit in einer Arbeiterfamilie auf. In seinem Heimatort besuchte er die Volksschule, nach deren Abschluß er als Freund der Natur eine Lehre im Forstamt Hürtgen mit erfolgreich bestandener Fachprüfung absolvierte. 1941 wurde er zum Reichsarbeitsdienst (RAD) einberufen, anschließend wurde er als Soldat bei der Wehrmacht eingezogen. Seine ganze Einsatzzeit über kämpfte er ausschließlich an der Ostfront, wo er insgesamt im Laufe des Krieges viermal verwundet wurde. Nach Kriegsende geriet er zweimal in Gefangenschaft, einmal in russische, einmal in amerikanische, doch gelang ihm in beiden Fällen die Flucht. Zurück in der völlig zerstörten und zerschossenen Heimat, hat er sich gemeinsam mit seiner Frau Elfriede einen landwirtschaftlichen Betrieb aufgebaut, den er nach seiner Berufsunfähigkeit seinem Sohn übertragen hat. Außerdem hat er sich ehrenamtlich um einige ortsansässige Vereine verdient gemacht. So leitete er die Feuerwehr, war Orts-bauernvorsitzender, führte die Jagdgenossenschaft, war acht Jahre lang im Wehrdienstverweigerungsausschuß und ebenso lange als Schöffe im Landwirtschaftsgericht in Düren tätig. Außerdem war er Wanderführer im Eifelverein und 15 Jahre politisch im Gemeinderat tätig. Durch den Einsatz einer hochtechnisierten Luftwaffe erhielt die Kriegsführung im II. Weltkrieg eine neue Dimension. Neben den Kämpfen in der Luft hatte vor allem der Bombenkrieg unheilvolle Auswirkungen vor allem auf die Zivilbevölkerung, die nun erstmalig in der Geschichte aufs härteste vom Kriegsgeschehen mitbetroffen wurde. Nicht nur die großen Städte fielen in Schutt und Asche, sondern auch kleinste Ortschaften wurden nun Opfer des Luftkrieges. So blieb auch die Eitel von Luftangriffen nicht verschont. Vor allem nach der Casablanca-Konferenz im Januar 1943, bei der die Alliierten den unbeschränkten Bombenkrieg rund um die Uhr beschlossen, war auch in der Eitel niemand mehr vor feindlichen Flugzeugen sicher. Zwar verschonten in den ersten Kriegsjahren die überfliegenden Verbände die Eifeldörfer noch von Bombenwürfen, doch änderte sich das schon bald mit dem fortschreitenden Kriegsgeschehen. Spätestens mit der Invasion am 6.6.1944 wurde auch die Eifel mehr und mehr in den Luftkrieg einbezogen. Selbst kleinste Ortschaften wurden bombardiert, und schließlich waren sogar harmlose Einzelpersonen vor Jaboangrif-fen nicht mehr sicher. Was die Menschen in der Eifel - aber auch die Flugzeugbesatzungen - damals mitgemacht haben, schildert der Autor aus eigenem und dem Erleben zahlreicher anderer Zeitzeugen eindringlich und ordnet dabei die Ereignisse in das grolle Gesamtgeschehen des II. Weltkrieges ein. Hürtgenwald, ein Name den amerikanische Soldaten einem sich über 140 Quadratkilometer hinziehenden Waldgebiet, südlich von Aachen, gaben. Die Forste Merode, Wenau, Hürtgen und Roetgen mit dichten, schwer zu durchdringenden Waldern, unbewaldeten Hügeln, tiefen Taleinschnitten und dünner Besiedlung waren Charakteristika dieses Landstrichs. Sein natürlicher Verteidigungswert wurde durch den 1938/39 errichteten Westwall mit einer Vielzahl von Befestigungen nur noch erhöht. Ausgerechnet dieses fur motorisierte Truppen völlig ungeeignete Terrain wählten die Amerikaner im Herbst 1944 für ihren Angriff auf das Reichsgebiet - für die Deutschen eine unerwartete und nicht erklärbare Operation. Waren es anfangs erst drei US-Divisionen, die im September 1944 dort angriffen, so kamen im Hürtgenwald bis zum Abschluss der Kämpfe im Februar 1945 acht weitere amerikanische Divisionen zum Einsatz. Die Verbündeten der Deutschen waren ihr Verteidungswille, das Terrain, die Befestigungen und klimatischen Einflüsse, vor allem der äußerst harte Winter 1944/1945. Beim Einsatz von 120.000 amerikanischen Soldaten im Hürtgenwald betrugen die Verluste an Gefallenen, Verwundeten, Vermissten und in Gefangenschaft geratenen GIs amerikanischen Angaben zufolge 24.000 Mann. Weitere 9.000 Ausfälle wurden Erfrierungen und anderen Erkrankungen sowie Unfällen zugeschrieben. Deutscherseits kamen etwa 80.000 Soldaten zum Einsatz. Hinsichtlich der deutschen Gesamtverluste existieren keinerlei offizielle Unterlagen. Amerikanische Schätzungen besagen, dass sie in etwa genau so hoch anzusetzen wären wie die der US-Streitkräfte. Viele Schicksale ranken sich urn den Hürtgenwald, der da und dort heute noch die Spuren harter, blutiger Kämpfe aufweist. Dieses Buch schildet das Schicksal zweier Kompanien Soldaten - einer amerikanischen und einer deutschen, die sich damals als Feinde gegen-überstanden und, insofern sie dieses Desaster überlebten, recht oft zu guten Freunden wurden. 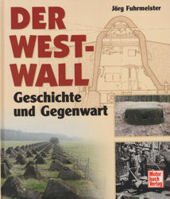 Der Westwall wurde in den Jahren 1936-1940 zwishen Kleve und Basel gebaut. Durch seine vielen tausend Bauten hat er Gesicht und Geschichte des Grenzlandes geprägt. Zwishen September 1944 und Februar 1945 fand hier, an der Pforte des Reiches, die letzte große Abwehrschlacht im Westen gegen die Alliierten statt. Über den Westwall ist seit Beginn der Bauarbeiten bis zur heutigen Zeit viel geschrieben worden; angefangen von der nationalsozialistischen Propaganda bis hin zu heutigen kritischen Beurteilungen durch Zeitgenossen. Die meisten Schriften beschäftigen sich jedoch vorwiegend mit dem damaligen Kampfgeschehen sowie dem militärischen Nutzen der Anlagen. Sie beschreiben, registrieren und bewerten die verschiedenen Westwallbauten. In einer vierjährigen Arbeit erforschte eine Projektgruppe die in dieser Hinsicht wenig beachtete Befestigungslinie zwishen Brüggen am Niederrhein und Saarbrücken. In über 100 Wanderungen wurden interessante und verblüffende Entdeckungen gemacht. Der heutige Zustand der Wehranlage wird auf 180 Farbfotos erstmals festgehalten. Die Lichtbilder zeigen Westwallbauten, zerstörte wie erhaltene, an dennen nicht nur Zahn der Zeit genagt hat. Sie geben Impressionen von Wehranlagen wieder, die von der Natur mit einem grünen Schleier überdeckt oder sogar durch eine üppig wuchernde Fauna zurückerobert worden sind. 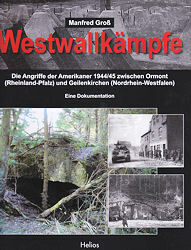 Die Angriffe der Amerikaner 1944/45 zwischen Ormont (Rheinland-Pfalz) und Geilenkirchen (Nordrhein-Westfalen). Die amerikanischen Truppen der 1. US-Armee erreichten am 11. September 1944 in der südlichen Eifel erstmals die Reichsgrenze und damit den sog. Westwall. 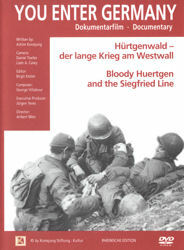 Der in der englischsprachigen Literatur auch als Siegfriedlinie bezeichnete 630 km lange Westwall galt für die meisten amerikanischen Soldaten als uneinnehmbares Bollwerk des Dritten Reiches. Dabei standen die meisten Bunker schon seit vier Jahren leer und waren in einem äußerst desolaten Zustand. Bautechnisch überholt, die schweren Waffen entfernt, war der Westwall vielfach nur ein Schatten der ursprünglichen Bedeutung. Wie bekannt, trieben die amerikanischen Truppen die Restbestände der 15. und 7. deutschen Armee mit einer gigantischen Material- und Personalüberlegenheit in Richtung Reichsgrenze. Die Heeresgruppe B unter Generalfeldmarschall Model war nicht in der Lage, den zum Teil in völliger Auflösung befindlichen Rückzug der deutschen Truppen zu stoppen. Erst am Westwall gelang es Model, die deutsche Abwehrfront zu stabilisieren. Dabei wurden alle Truppen erfasst, die in irgendeiner Form in der Lage waren, dem Vordringen der Amerikaner Einhalt zu bieten. Dies reichte von Ersatz- und Genesenden-Verbänden, Luftwaffen-Festungsbataillonen bis hin zu den von Himmler neu aufgebauten Volksgrenadier-Divisionen, die insbesondere im Raum Aachen noch eine Rolle spielen sollten. Dem Autor, der durch weitere Westwall-Fachpublikationen bekannt geworden ist, gelingt es, die Kämpfe zwischen Ormont (Rheinland-Pfalz) und Geilenkirchen (Nordrhein-Westfalen) detailliert und Quellen gesättigt zu dokumentieren. In keiner bisher vorliegenden Arbeit ist dies mit der hier vorliegenden Präzision gelungen. Die Propaganda des 3. Reiches rückte 1938 die deutschen Westbefestigungen, im Volksmund "Westwall" genannt, in das Interesse der Weltöffentlichkeit. Der Wall sollte der Welt demonstrieren, dass eine Befestigung entstanden war, die alles andere in Europa in den Schatten stellte. Die Wirklichkeit zeichnete ein sehr viel nüchterneres Bild: Von Materialknappheit betroffen, von ständigen Planungs- und Bauänderungen zermürbt, entstand von Basel bis Kleve ein Sammelsurium von mehr als 18.000 Bunkern, Hohlgängen und Sperren aller Art. Anfang 1939 war der Westwall alles andere als geeignet, einen möglichen Angriff von Westen her aufzuhalten. Ihren wertvollsten Beitrag leistete die Befestigungslinie letztlich als Schutz für die Zivilbevölkerung gegen Luftangriffe. Von 1946 bis 1950 systematisch in die Luft gesprengt und bis heute kontinuierlich beseitigt, blieben nur wenige sichtbare Reste erhalten. Diese Dokumentation zeichnet anhand zahlreicher bisher unveröffentlichter Fotos und Dokumente ein Gesamtbild des Westwalls von seinem Bau bis zur aktuellen Situation. Jörg Fuhrmeister, Jahrgang 1959, engagierte sich schon als Jugendlicher für den Denkmalschutz. 1987 wurde er Projektleiter zur Restaurierung von Westwallbunkern der Interfest e.V. und 1989 Fachgruppenleiter Landesbefestigungen in Deutschland nach 1920. Er veröffentlichte zahlreiche Fachbeiträge zum Thema Festungswesen. Die Kämpfe im Hürtgenwald und entlang des Westwalls von 1944 bis 1945 gehören zu den letzten großen Mythen des Zweiten Weltkriegs. Von der „längsten Schlacht auf deutschem Boden" ist die Rede, vom „Verdun in der Eifel," von der größten amerikanischen Niederlage in Europa. Selbst die offizielle US-Militärgeschichte spricht vom Hürtgenwald als „schwarzgrünem Ozean aus Wald, in dem Hansel und Gretel vom Weg abkamen". Hemingway nannte die Forste der Eifel „Wälder, in denen die Drachen hausen". Drachenzähne, Siegfriedlinie, Höllenwald - Begriffe, die an altdeutsche Mythen und Märchen erinnern, an das Nibelungenlied, an die NS-Propaganda vom „ewigen Wald", an die Geschichten von Gespenstern und bösen Hexen im tiefen Tann. Nach jahrelangen Recherchen gelang es, einige der noch lebenden Veteranen in Deutschland und den Vereinigten Staaten zu interviewen. Bisher nie gezeigte Filmaufnahmen aus den US National Archives und privaten Archiven sind eindrucksvolle Zeugnisse des Krieges, dessen Spuren noch heute in den Wäldern sichtbar sind. The Battle of Huertgen Forest and along the Siegfried Line from 1944 to 1945 is one of the last great myths of World War II. It is known as the „longest battle on German soil", as well as the "Verdun in the Eifel", as the largest American defeat in Europe. 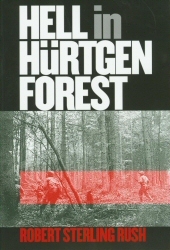 Even the official US-military history speaks of Huertgen Forest as „a black-green ocean of forest, in which Hansel and Gretel had lost their way". Hemingway called the Eifel woods the „forest, where dragons live". Dragons' teeth, the Siegfried line, the Green Hell -terms that remind one of old German myths and fairy tales, of the Nibelungenlied, of the Nazi propaganda about the „eternal forest& , of stories of ghosts and evil witches in the deep woods. After years of research, several surviving veterans in Germany and the United States have been interviewed. Never before seen film footage from the US National Archives and private archives are impressive evidence of the war, the signs of which can still be seen in the forests to this day. 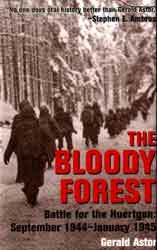 The battle of the Huertgen Forest was one of the bloodiest of World War II. American and German forces suffered in excess of 60,000 casualties over a freezing six-month winter campaign. For the soldiers who survived, memories of the horror of that battle have continued to this day. 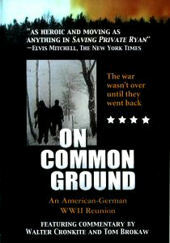 On Common Ground is the true story of a battlefield reunion of American and German soldiers nearly 55 years after they fought in the Huertgen. This time they meet in the spirit of reconciliation, but vivid memories from the war and unanswered questions are never far beneath the surface. On Common Ground includes commentary from NBC News Correspondent Tom Brokaw, CBS WWII Correspondent Walter Cronkite, John Kenneth Galbraith, and never before seen historical footage from American Combat Cameramen. "When you talk to some of the soldiers who fought, most of their time was spent doing nothing ... under constant pressure, with the fear of walking through a dark and scary forest, and guys trying to kill you," "The deeper battle was really trying to stay human." Ron Eldard in 6/27/98 edition of the New York Post. Eldard plays a World War II foot soldier caught up in the 1944-45 battle of the Huertgen Forest, near the border between Germany and Belgium. His character is an infantryman thrust into a leadership role who doesn't consider himself a hero just for surviving the bloodiest of battles.